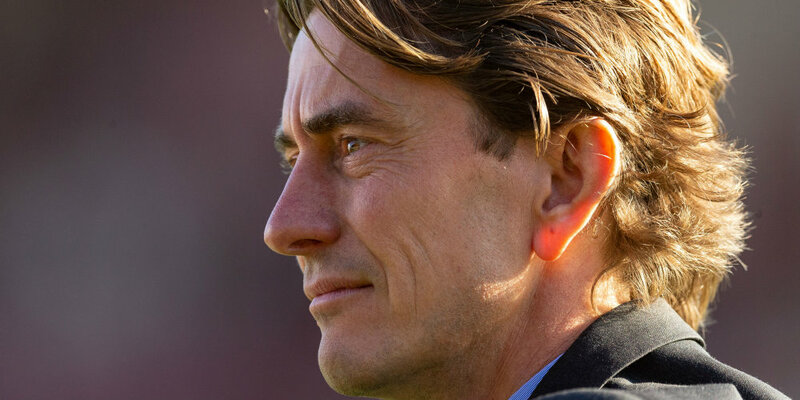 Brentford boss Thomas Frank admitted he will need to take stock during the international break following the derby defeat at QPR. The Bees lost 3-2 at Loftus Road, where Neal Maupay put them ahead but was later stretchered off after suffering concussion. Brentford have lost four of Frank’s first five matches in charge. Getting key players back from injury and tightening up at the back are the Dane’s top priorities. Frank said: “I would say we need to regroup. Let’s get them in, get them fresh again. We have some players injured and we need to get them back. “There are definitely things we are doing right but we need to defend better. “The first half was OK-good. There were opportunities we could have made more of in the first half, but 1-0 up was OK playing away. Brentford are hopeful Maupay will soon recover, but there is some concern for Saïd Benrahma, who was carried off after suffering an ankle injury in the build up to Dalsgaard’s goal. Frank said: “Maupay had concussion. We don’t know how long he will be out for. It will hopefully be not long. “We will assess him on Monday. As far as I know it is not that bad and is only a small concussion.